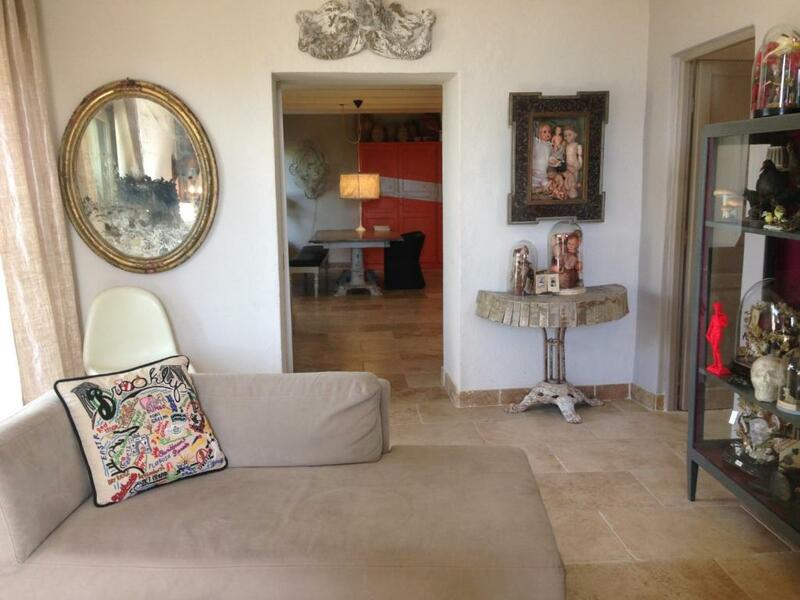 Supernice, well equipped apartment, with a wonderful host! It was fun, funky, artsy with a fantastic modern kitchen and great outdoor space with access to a pool . We really enjoyed getting to know Marie and learning about her art. She was a great host and went out of her way to make sure we were taken care of. Space inside and outside. Position in relation to the village. The local area. The garden. Easy parking. The owner friendly and helpful. From the moment we arrived we knew we’d made the right choice for the last four weeks of a wonderful 6 month sojourn in Europe. 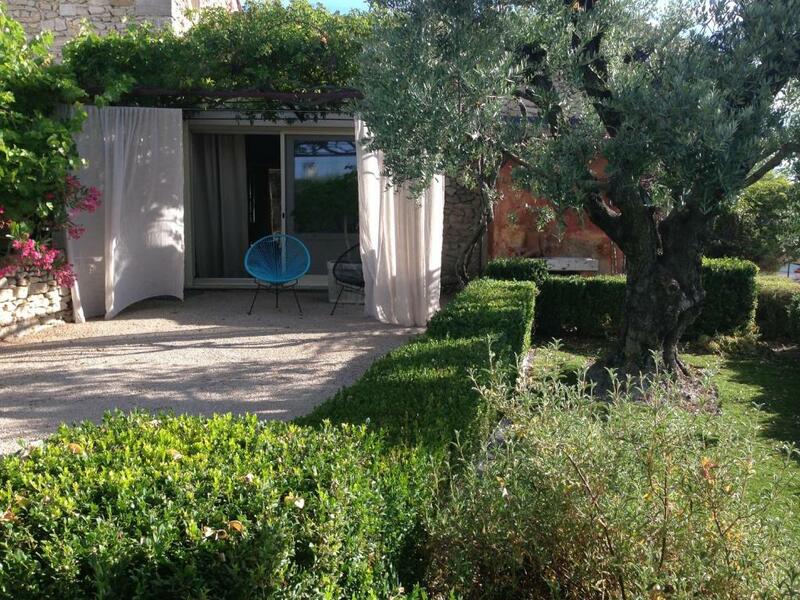 Even though we had some rain just about every day it never stopped us sitting outside enjoying the beautiful smells, sights and sounds of the garden and exploring the Provencal countryside. 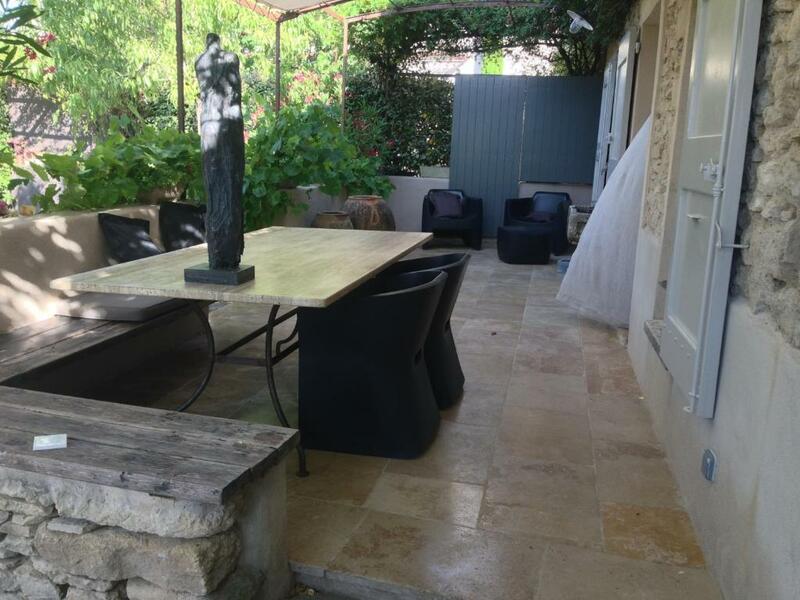 The house is located outside the “old town” of Forcalquier but is within easy walking, driving or cycling distance. Many mornings I cycled to the boulangerie on one of the multiple bikes that are provided for guests to use. The house was very well-equipped for anyone who likes cooking and eating at home (thermomix, coffee machine, etc) and the surrounding area is full of hill-top villages and marvellous eateries. Marie, the host, is an interesting person, a very talented artist, speaks excellent English, along with a multitude of other languages and is available for advice or to immediately fix any minor problems. Uniquely attractive and spacious, an air of grace yet radically designed to guarantee a different and refreshingly contrasting sojourn from the everyday let. Crammed with creativity. The charming artist-sculptress owner is on-site most of the time in case of needs. We were delighted by the host's helpfulness and warmth of character. We had a wonderful holiday!........all of the rooms including the outdoor spaces are very well equipped and tastefully furnished in a contemporary and artistic manner. We especially enjoyed the ambience of the house, garden and pool area and visiting the many local towns and villages. Marie is a fantastic host, she was very friendly, informative and helpful. We really recommend this property. La décoration originale, le mobilier chaleureux, la chambre, la salle de bain, les matières de cette maison, la disposition des pièces, l'installation sonore mise à disposition, la superbe terrasse ... et l'accueil de Marie! 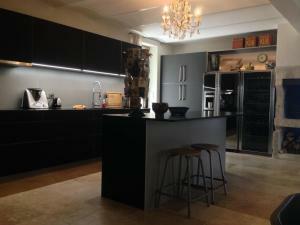 Ruim luxe en schoon huis met alle comfort. Fijne tuin met gezellig overdekt terras. Heerlijk zwembad, kortom top! Lock in a great price for PROVENCEguesthouse L'Agace – rated 9.5 by recent guests! The holiday home is fitted with 1 bedroom, a kitchen with a dishwasher and an oven, and 1 bathroom with a shower and a hair dryer. A flat-screen TV is provided. Apt is 27 mi from the holiday home, while Gréoux-les-Bains is 23 mi away. 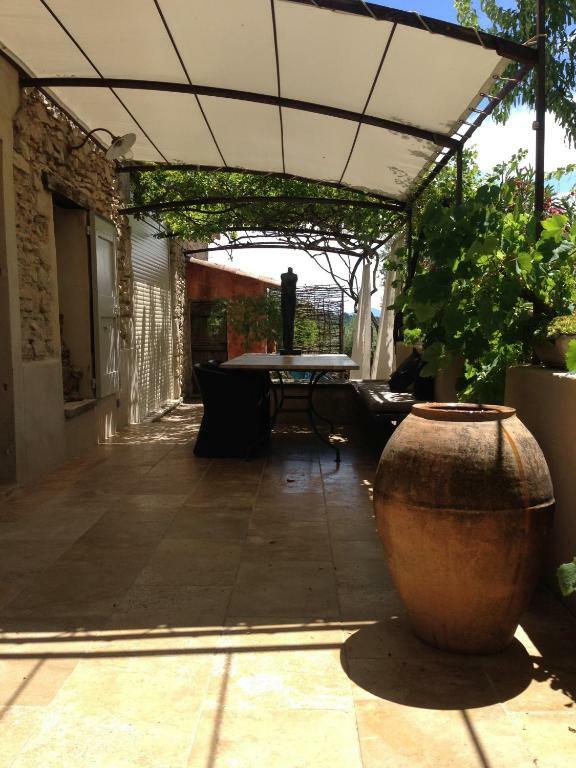 The nearest airport is Marseille Provence Airport, 65 mi from the property. 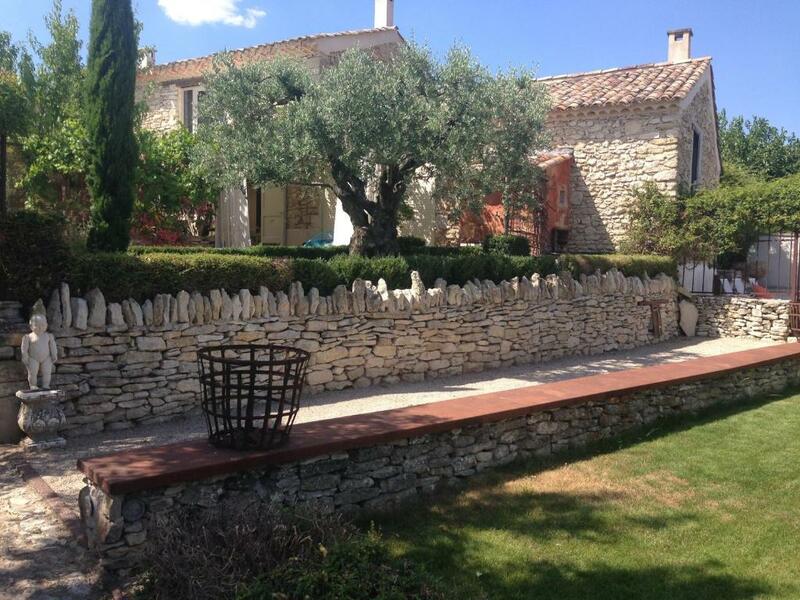 This property is also rated for the best value in Forcalquier! Guests are getting more for their money when compared to other properties in this city. 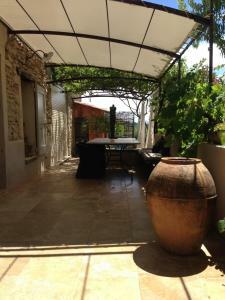 When would you like to stay at PROVENCEguesthouse L'Agace? 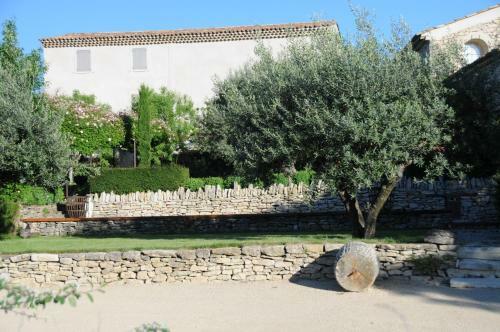 Charming Provencal farmhouse with swimming pool for 2 people. The farmhouse, entirely restored in the tradition of the region of Alpes de Haute Provence, furnished and decorated with taste and quality. 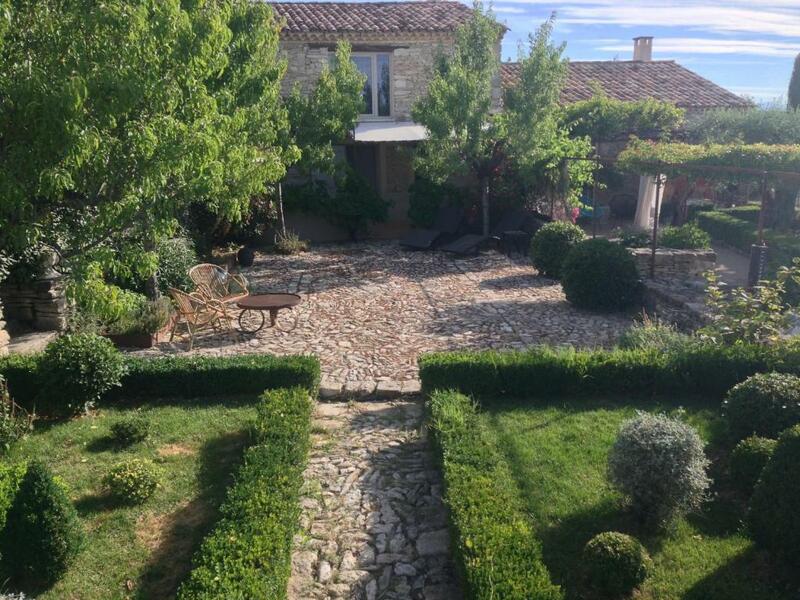 Situated at the entrance of the hamlet Les Chambarels at only 800 meters from the centre of the town Forcalquier. It’s also the departure of many biking- and hiking trails. Forcalquier is a typical village of Haute Provence, many possibilities for leisure and excursions are proposed but also the variety of its cultural life Active holidays and sports for some, contemplation hills, picturesque villages and reading for others, everyone can find his rhythm and fun. 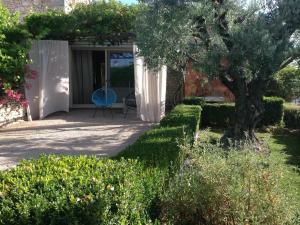 The property, composed of 3 buildings on 4500 m2 of fenced garden The cottage L’Agace on the ground floor is surrounded by terrace and private garden. , a total of 100m² , has a large dining area and a fully equipped kitchen, 1 bedrooms with a 160/190 bed, bathroom possesses shower, sanitary. washing machine. All rooms have direct access to the outdoor relaxation areas and from the dining room you access a 30m² the covered terrace. A secured pool 4x7 m is to share with others eventual guest and available from June to September. Sheets are provided. Bathroom and pool towels are at your disposal for 30 euros. Wi-Fi, Bikes, Petanque balls, Car park for free. No animals are permitted. 500 euros Safety deposit. 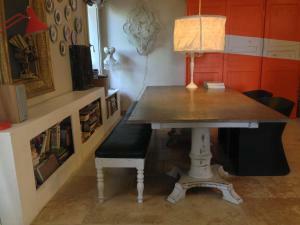 The Cottage must be returned in a state of proper cleanliness For more details please contact us. House Rules PROVENCEguesthouse L'Agace takes special requests – add in the next step! Please inform PROVENCEguesthouse L'Agace of your expected arrival time in advance. You can use the Special Requests box when booking, or contact the property directly using the contact details in your confirmation.